The Barcelona vs Manchester City UEFA Champions League match is set for Wednesday, March 12, 8:45 p.m. CET (7:45 p.m. GMT, 3:45 p.m. ET), at Camp Nou. The game will be broadcast on C+ Liga de Campeones/HD and Canal+ Yomvi in Spain. The game will also air on Sky Sports 1/HD and Sky Sports Red Button in the United Kingdom. In the United States, the game will be shown on Fox Sports 1 USA and Fox Deportes. Live stream is available on Sky Sports Events Centre and Fox Soccer 2Go. BARCELONA, Spain (AP) — Manchester City will need an epic comeback against Barcelona on Wednesday to reach the Champions League quarterfinals. Barcelona won the first leg 2-0, so City will need to create plenty of goals at the Camp Nou to overturn the first-leg deficit. The Spanish champions have lost two of their three matches since winning at the Etihad Stadium, with questions swirling around Lionel Messi, Neymar and coach Gerardo Martino. 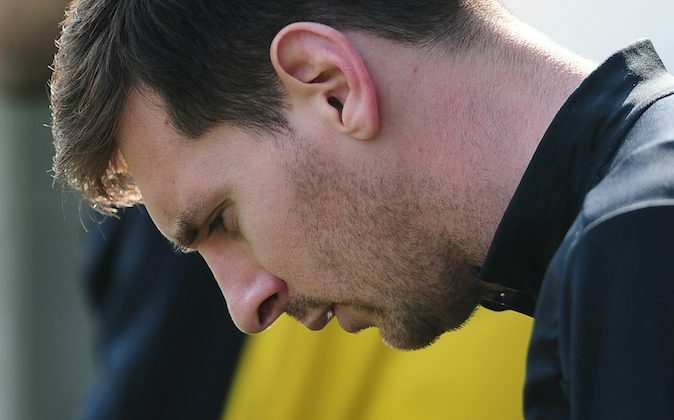 In Barcelona, questions abound about Lionel Messi. Messi has scored 27 goals but has not looked his usual vibrant self, tending to drift out of games like in recent losses to Real Sociedad and Valladolid. The Argentina forward, who was also spotting throwing up on the field during a recent match, has the distractions of the upcoming World Cup in Brazil plus reports that City is offering a world record bid to sign the 26-year-old player. If City is to mount a memorable comeback, much will hinge on the form of explosive striker Sergio. The Argentina international missed the first leg with a hamstring injury and it proved to be a huge blow to City, which was impotent up front with Alvaro Negredo playing as a lone striker. Aguero has played in City’s last two matches, however, and will be looking to add to his record of 26 goals in 27 club games this season. But he’s scoreless on his return, the first time he’s gone back-to-back games without netting since September. Neymar’s arrival at Barcelona has been marked by scandal rather than the samba style of play the Brazil forward promised to bring. Neymar’s form has looked disjointed in recent weeks as the fallout from his transfer continues to hang over the Catalan club. Neymar has only one goal this calendar year, and he hasn’t been able to take over games when Lionel Messi struggles to carry the load, with questions over the pair’s symmetry and the squad’s pecking order surfacing. Manchester City did too little, too late, against second-tier club Wigan in the FA Cup. The players are facing a far better side in Europe’s most prestigious competition on Wednesday, but manager Manuel Pellegrini still believes they can overturn the 2-0 deficit. The Chilean urged his players to regroup quickly. Barcelona coach Gerardo Martino desperately needs a strong performance from his team following the dip in form since the first-leg victory. The Argentine coach’s future is under discussion after back-to-back league losses on the road, especially following Saturday’s 1-0 loss at relegation-threatened Valladolid.